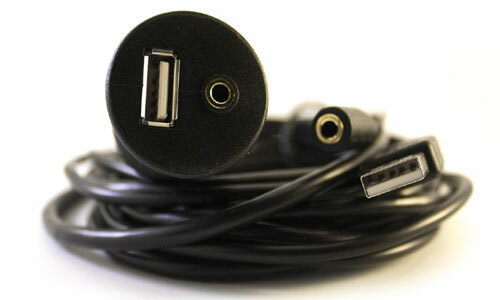 Ideal for any USB input and AUX-In 3.5mm jack, including GROM-USB, GROM-IPD4, GROM-MST. Cable connects to a USB port and AUX 3.5mm and provides a 5FT extension. The 3.5mm aux female end extends GROM auxiliary cable. 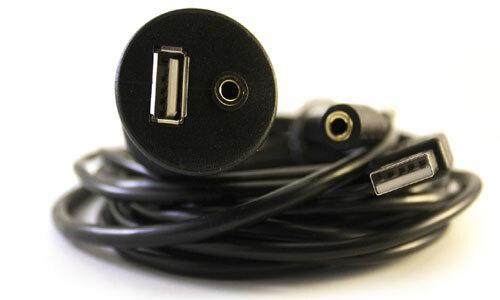 The female end of the cable features a flush mountable design. You can simply drill a 1 1/16 inches hole at the desired mounting location and snap the end of the cable in for an OEM look. 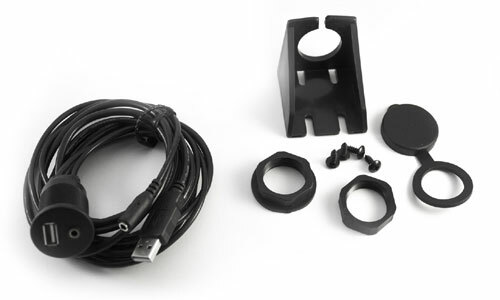 The C-FM35USB also features a mounting bracket that can be used to mount the USB and 3.5mm aux connectors without drilling holes in the vehicle. 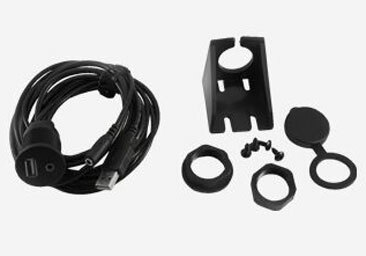 Snap the cable into the bracket and mount it wherever your installation demands.